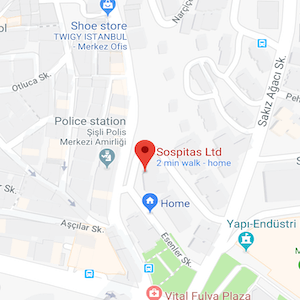 These General Terms and Conditions shall stipulate the rights and obligations of Sospitas Ltd and the Customer (hereinafter referred to as the Customer) using the electronic commerce services provided by Sospitas Ltd. on this website (www.hair-transplant-in-turkey.co.uk). (Sospitas Ltd and the Customer together are hereinafter referred to as the Parties). These General Terms and Conditions shall apply to all those electronic commerce services provided within the territory of Turkey that are conducted via the electronic shop (hereinafter referred to as Webshop) available at the www.hair-transplant-in-turkey.co.uk website (hereinafter referred to as the Website). 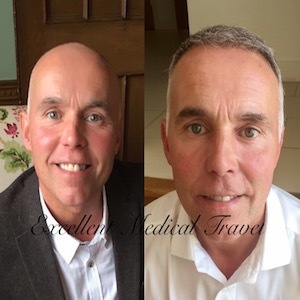 Shopping via the www.hair-transplant-in-turkey.co.uk online webshop is possible only electronically and in accordance with those specified in the present These General Terms and Conditions. 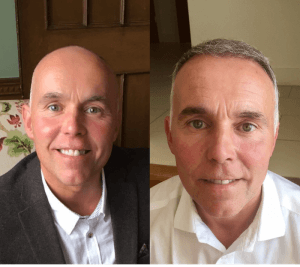 The cosmetic products available at the www.hair-transplant-in-turkey.co.uk website are produced by Sospitas Ltd in Turkey and comply with all the national regulations of Turkey and the European Union. The products descriptions on the website and the statements about the products have not been evaluated by any authority outside the European Union. The products sold in the webshop are cosmetics and not intended to diagnose, treat, cure or prevent any disease. Prices may be indicated in different currencies in the webshop. The Customer can make payments in any currency. Currencies are automatically converted into Euros at check out. Payment for products ordered can be made through a secure and convenient method for making payments online using PayPal. The Customer may use their PayPal account but do not necessarily need a PayPal account to use the webshop. Signing up for a PayPal account is optional. PayPal accepts all major credit cards like VISA, MasterCard, or American Express. At www.hair-transplant-in-turkey.co.uk products are shipped worldwide. The cost of shipping depends on the Customer’s delivery address. Shipping rate is calculated automatically is added to the total amount to be paid at check out. Shipping is not free also bot for intensive treatment packages and for orders over 450 Euro for any destination. Within Europe, we use national TNT cargo services and delivery usually takes up to 4 working days. Shipping to countries outside the European Union may take up to 7 days. Outside the European Union orders may be subject to import taxes, customs duties and fees. When ordering from www.hair-transplant-in-turkey.co.uk, the customer must comply with all laws and regulations of the destination country. Additional charges for customs clearance must be borne by the customer. When customs clearance procedures are required, it can cause delays beyond our original delivery estimates. For our shipping conditions, we refer to our shipping conditions page. Within 8 workdays following the receipt of the package containing the ordered products, the Customer can cancel the purchase without the need to provide an explanation. In the case of cancellation, the Customer shall return the product free of damage – free of outside damage and use too. Sospitas Ltd shall pay back the full purchase price to the Customer only if the completely undamaged product is returned in an intact packaging. Sospitas Ltd shall refund the purchase price within thirty days following the receipt of the product. Any expenses connected to the returning of the product due to the exercising of the right of cancellation shall be borne by the Customer. 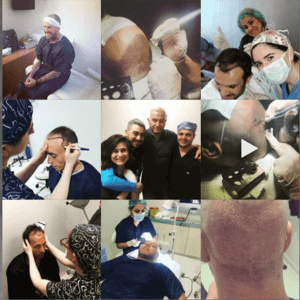 All issues concerning the Guarantee offered on the website should be reported to the manufacturer of the products, Sospitas Ltd (info@hair-transplant-in-turkey.co.uk). Sospitas Ltd is not responsible for any issues concerning guarantees, warranties or any claims concerning the products. The content of the website is the exclusive intellectual property of Sospitas Ltd, no sections may be cut from it and such section may not be disclosed, including making it available to the general public. The content of the website may not be mirrored, that is it may not be re-uploaded at another site, not even in an unchanged form. 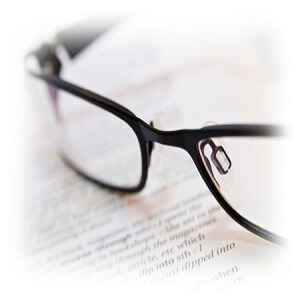 Any unauthorized use of the website can have legal consequences. Contracting Parties agree on the competence of the Turkish Court for the purposes of settling possible legal disputes. The webshop operated by Sospitas Ltd has adequate security. Purchase in the webshop presupposes familiarity from the part of the Customer with the technical limits of the Internet and the acceptance of possible errors resulting from the technology. Sospitas Ltd is not liable for any damage caused by connecting to the Sospitas Ltd website. Customers are responsible for protecting their computers and the data stored on them. The present General Terms and Conditions shall remain in effect until withdrawn. Sospitas Ltd is entitled to unilaterally amend the present General Terms and Conditions and those specified in it without notification and without explanation. Prices on the website shall be valid until withdrawn. We reserve the right to change prices, however, we inform our clients about price changes in advance. Our Service may contain links to third-party web sites or services that are not owned or controlled by Sospitas Ltd.
Sospitas Ltd has no control over, and assumes no responsibility for, the content, privacy policies, or practices of any third party web sites or services. You further acknowledge and agree that Sospitas Ltd shall not be responsible or liable, directly or indirectly, for any damage or loss caused or alleged to be caused by or in connection with use of or reliance on any such content, goods or services available on or through any such web sites or services.